New Brunswick’s apartments are not ideal for investment at the moment, especially since it is the only province in Canada that has a non-owner occupied tax. 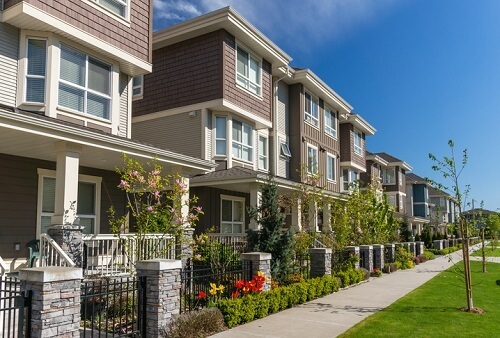 The province’s real estate association is one of the leading voices for changes to the tax, arguing that the levy has stymied much of the market’s prospects. “We’ve been lobbying basically since 2010 to create a fair taxation system. One of the things that we are lobbying for mostly this year is the elimination of the double taxation,” NBREA government relations committee chair Kari McBride told GlobalNews.ca. The New Brunswick government assured that it is taking these concerns into account. “As our fiscal situation improves, government is committed to gradually eliminating the double taxation, with an initial focus on helping tenants whose apartment is their primary dwelling,” the government stated. The property tax has been repeatedly criticized as a leading factor in the lack of growth in apartment investment – an observation backed by Statistics Canada figures, which showed that apartment investment has remained flat in New Brunswick from 1994 to 2018, while growing in Nova Scotia during the same time frame. “It is stopping investors from coming here, it is stopping people coming in and purchasing income properties, and it is also hurting our economy,” according to Pamela Doak of the Fredericton Real Estate Board. This is despite data from the Canadian Real Estate Association indicating that the market’s average sales price of $177,200 in 2018 (vs. the national average of $488,600) continues to make the province a relatively affordable option. Should affordability take priority over heritage preservation? Real Estate investment; low DEMAND , due to this N.B.double tax. Get rid of it; investors and renters ; win/ win for both.